Criminal Lawyer chartered in the Supreme Court entitled to quash a judgment in Rome. He is the Office holder, who daily carries out the profession of defender for people involved in criminal proceedings. After graduation he attended courses at the forensic school in Bari , courses CEIDA in Rome and the master "Corporate Lawyer” at the Luiss University in Rome. In 2006 he attended the IX National Course of specialized training arranged in Rome by the Union of the Italian Criminal Chambers. In September 2006 he participated in Como, at the meeting " difendersi mentendo e giusto processo” ("To defend lying, it is the right process”) , arranged by the Institute for Research of the European Criminal Law . Since 2007 he is part of the Criminal Chambers’ Board of Directors in Bari and he participated as delegate at the National Meetings in Ancona, Treviso and Parma. In march 2008 he attended to the meeting in Pisa entitled " The prison in Europe. Between reintegration and exclusion”. In April 2008 he attended to the course formation in Foggia entitled "The Recours for the Supreme Court. Legislative Changes, interpretative doubts ,outlooks”. In April 2008 he participated, at the workshop in Turin organized by the Gulotta Foundation about "True and false sexual abuse within the families and collectives between psychological diagnosis, prosecution and defence." 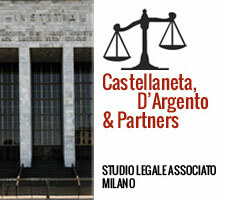 In September 2008 he participated at the National Conference in Bari about the legal psychology. In October 2008 he participated at the workshop in Turin, organized by Vittorio Chiusano Penal Chamber of Turin titled "What punishment, what imprisonment, what alternatives." Since September 2009 he joined in LAPEC (Permanent Laboratory of Examination And Cross examination), and he participated in National Meetings in Alghero ("Cross-examination and right process: not go back"), in Venice ("Cross-examination: A protocol of the hearing including judges and lawyers"), in Ravello (" The cross-examination: Guidelines and reform plans"), in Lecce (" Cross-examination: The evolution of the practice and the right process") . He is part of the Lapec section in Lecco and from January to April 2011 he participated to seminaries about the Cross-examination in criminal processes at the headquarters of the Confederation of the Italian Industry in Lecco. Since 2009 he is responsible for the commission 'Imprisonment and criminal enforcement " of the Criminal Chamber of Bari and in that capacity he organized the Conference held at the University of Bari in June 20 10" To overcome the culture of the prison sentence. " He is a charter member of the ONLUS Board Directive "The possible prison" delegation of Bari. He is a member of the Scientific Committee of the "Training course about the criminal implementation, penal treatment, alternative measures and the process of supervision" which lasted one year and it is in a progress phase at the headquarters of the Law Courts of Bari . He is currently participating to the first training course of criminal lawyer at the headquarter in Rome, organized by the Italian Union of criminal Chambers.